Many have a genetic predisposition to periodontal disease or have ailments (such as diabetes or AIDS) or medications that can exacerbate problems with the gums. Nonetheless, Dr. Peiman Soleymani, periodontist in Los Angeles at the Beverly Hills Periodontics & Dental Implant Center, advocates prevention as the best method for gum disease treatment. The board certified periodontist recommends brushing twice a day in combination with flossing to thoroughly clean the mouth. Stopping the use of cigarettes and chewing tobacco as well can help those who are especially concerned about their oral hygiene. Sometimes, the key to preventing periodontal disease is correcting inadequate dental work. Ill-fitting bridges or crowns, ruined fillings, and even crooked teeth are all risk factors for gum disease. Dr. Soleymani can solve many of these problems through cosmetic dental surgery and implantations. 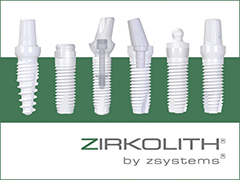 He’s provided dental implants to Santa Monica, Beverly Hills, and all Los Angeles residents. His dental implants in Los Angeles not only correct aesthetic problems of the mouth; they also aid the prevention of future gum disease. Plus, Dr. Soleymani’s immediate temporization and immediate dental implants procedures allow for a fast, minimally invasive rejuvenation of the mouth. If your periodontal disease has progressed past the point where prevention can help, then do not fret. Dr. Soleymani and his team are well-known for their laser treatments, bone grafting, osseous procedures, and gum grafting in Los Angeles that can alleviate your current periodontal woes and prevent future ones. Don’t hesitate to explore the Beverly Hills Periodontics & Dental Implant Center website to learn more about these procedures and dental implants in Los Angeles. With additional questions, call 310-275-4606 or visit their online contact page.